Out of the Conquest Games Norman Infantry (review is in the making) box i built the not mounted part of my Norman warband for SAGA. 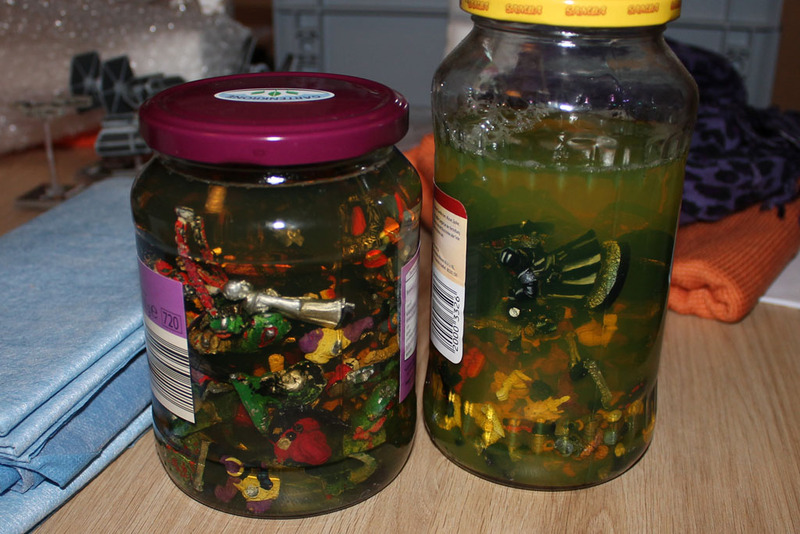 And i put a batch of 2nd hande miniatures into jars full of Mellerud. After a few days of soaking in, they will be stripped of their paint. 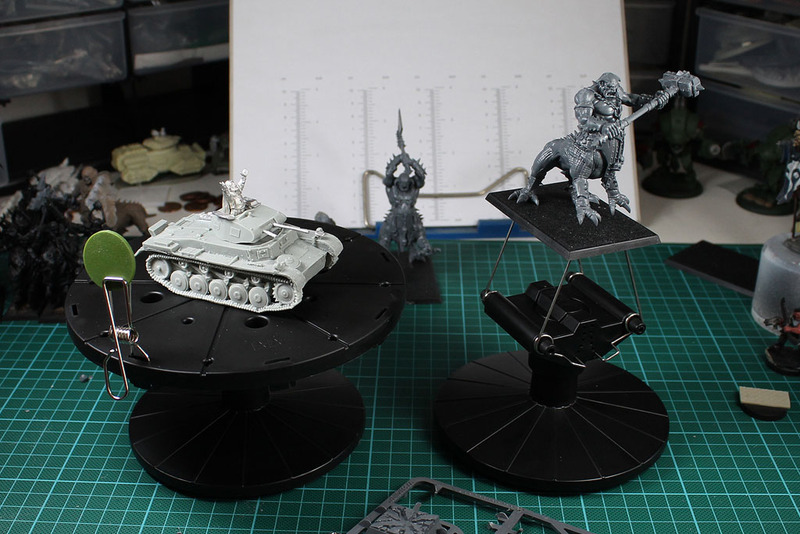 As a new helper in my painting area, i bought a painting stand from Tamiya. I tried buying it at our local model work store, but due to the massive lack of service, i bought it online. 19 Euro for the set of 2 stands (one with a turntable and one with a clip) is a good price. 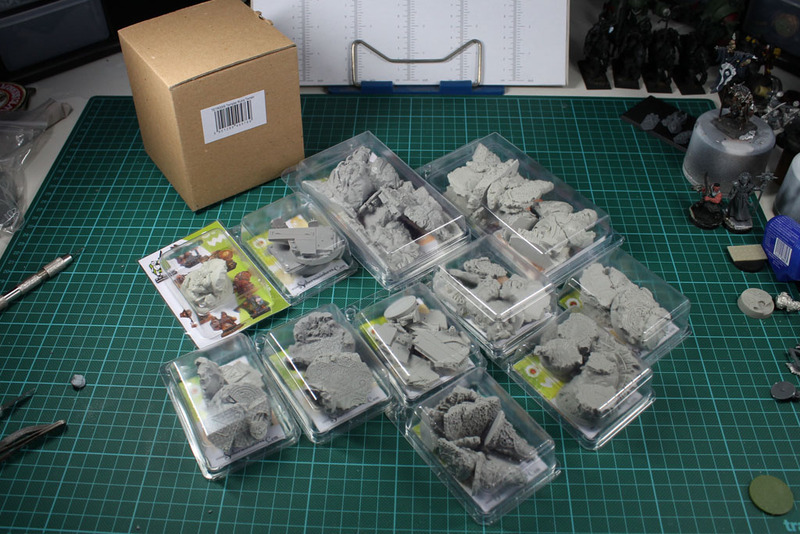 A wholesaler is discontinuing their scibor stock, so i used the chance to stock on some bases and scenery things. 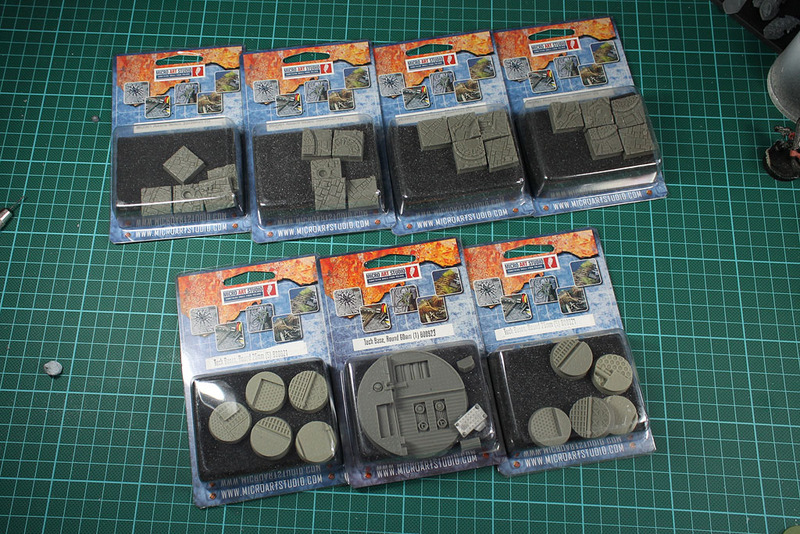 Beside that i wanted to restock on sci-fi bases and bought some Micro Art Bases along with that. 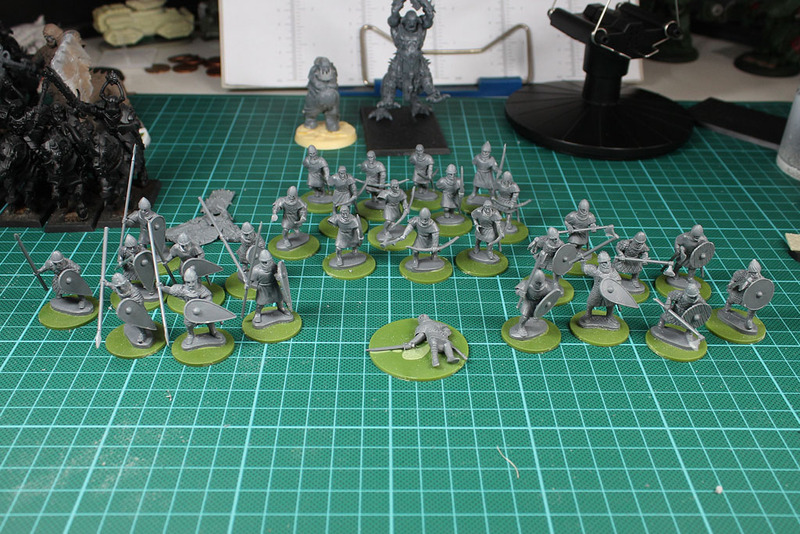 The 20mm city bases are meant for a dwarf warband. Pictures to follow.